Carlos Cruz holds an MFA in Physical Theatre (2007) from the Dell’Arte International School of Physical Theatre where he studied a range of movement techniques including Commedia dell’Arte, Laban, Lecoq-based theatre dynamics, Alexander Technique, as well as an extensive voice training in the Linklater voice method. As part of his thesis project, he went on to train Circus Arts and Chinese Acrobatics under the tutelage of Master Coach Lu Yi at the San Francisco Circus Center. He specialized in the disciplines of Aerial Straps (Sangles Aériennes) and Acrobatic Rope (Corde Lise). Cruz is the Assistant Professor of Physical Theatre at the University of North Carolina at Charlotte, offering theatre students rigorous training in physical theatre, stage acrobatics, circus arts and vocal techniques. 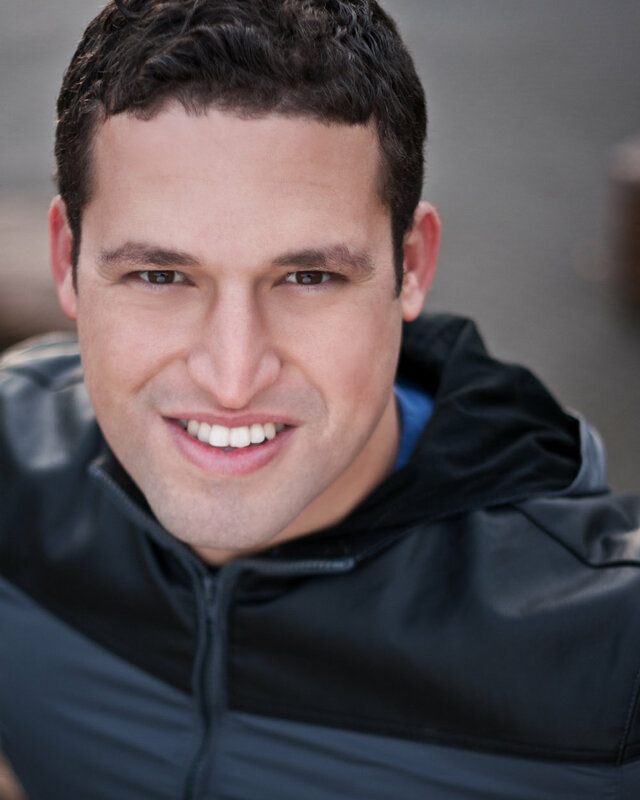 In the professional realm, Carlos was a fulltime company member of the Do Jump! Dance Theatre, and Imago Theatre, touring nationally and internationally. He is the co-founder and Artistic Director of the Pelú Theatre project; a physical theatre company mainly interested in researching the convergence between Contemporary Circus Arts and Theatre as performance vocabulary, particularly in the exploration of themes related to the Latino immigrant experience in the United States. The company is currently invested in the Pícaro project, a physical theatre take on the journey of a central American immigrant set to tour in the Summer of 2018 and for which Cruz was awarded the Princess Grace Foundation 2017 Works in Progress Award for the development of Pícaro with the support of the Baryshnikov Arts Center in NYC. Other awards include the 2011 Princess Grace Foundation Theatre Fellowship Award, and the 2014 Arts and Science Council’s McColl award for the development of new, socially-engaged work. 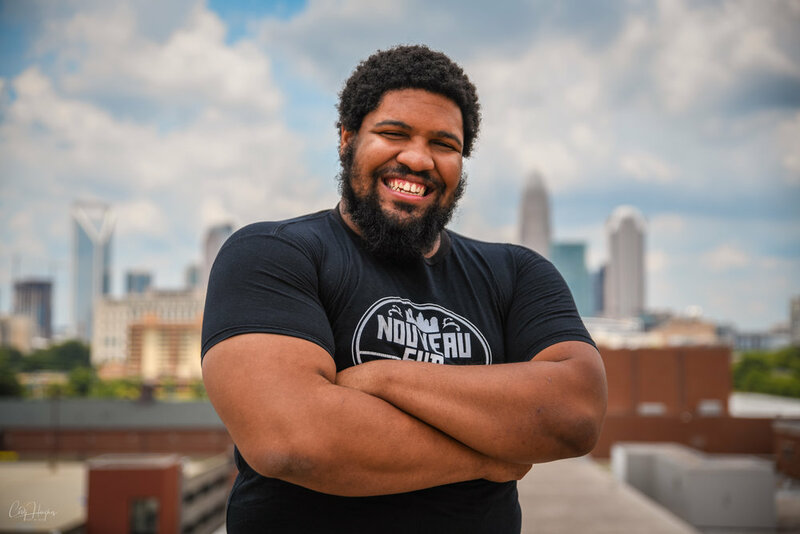 With the latter he developed a community powered contemporary circus company, the Nouveau Sud project, from and about the city of Charlotte and the evolving concept of what is often referred to as the New South. The Nouveau Sud project had its debut production in April 2016, awarded a best of Charlotte Acrobatics and Dance distinction, and an ongoing initiative with a new show coming up in the summer. Cruz has been an active member of both ATME and ATHE since 2014, taking a leading role in paving the path for the research in Contemporary Circus/Circus Theatre within our association. Notable events organized by Cruz are the pre-conference tour to the Cité des Arts du Cirque during our ATHE 2015 in Montreal with a special guided visit to Cirque du Soleil HQ, and the Circus Theatre research events at our last ATHE conference in Las Vegas in collaboration with Cirque Mechanics and Cirque du Soleil. Theresa started her aerial journey in 2015. Since her first aerial silks class, she’s been addicted to flying and was led to the Nouveau Sud Project six months later in her search for more ways to train with her hectic schedule of full-time work and parenting a toddler. Her repertoire of vocabulary now includes other disciplines such as dance trapeze, aerial hoop, corde lisse, duo straps and partner acrobatics. As of June 2017, Theresa actualized her dream of being a full time artist by quitting her 9-5 job and has been on the road regularly with her partner working as a traveling model and performer. Previous to starting circus arts, her background did not include any physical activities customarily seen in other performers such as dance or gymnastics. Rather, her passion and background was in theatre and creative writing. When not on the road or in the air, Theresa enjoys spending quality time chasing around her 4 year old son. She aspires to be able to give him advantages that she did not have as a child, such as the option to explore any extracurricular activities he may want to try. Circus arts has become a lifestyle that’s made her appreciation and zest for life grow tenfold. In addition to falling more in love with herself and life, she has gained a wonderful family through circus with the Nouveau Sud Project. Jordan’s primary discipline is hand balancing. His secondary disciplines are acrobatics, aerial straps, partner acrobatics, duo straps and juggling. He got started practicing handstands at the age of 16, in his home of Nokesville, VA, using YouTube tutorials for guidance. Once he was 18, he began to attend hand balancing workshops with some of the professionals he had admired over the years. During that time, he began to branch out and explore other disciplines like parkour, rock climbing, BJJ & MMA, gymnastics and more. He left his home in Virginia to come to Charlotte, NC. While street performing, he met someone who connected him and a Nouveau Sud cast member who would later recruit him. Now, along with performing, he travels and teaches hand balancing workshops across the United States and other countries. One of his goals is to show people that with enough passion and hard work, anyone can achieve high levels of skill in whatever they choose to do. Micheal is originally from the Dominican Republic and was raised in Brooklyn, NY. He later moved to Charlotte, NC at age 12. His earliest training was in b-boying and breakdancing. Once he met artistic director Carlos and was introduced to the Nouveau Sud Project, he expanded his skills to tumbling, then partner acrobatics, acrobatics, dance movement, and apparatuses working on arial straps. His interests outside of the Nouveau Sud Project include cooking, video games and reading comics. He currently works at an American European-based restaurant and brewery in Charlotte, NC. Since working with Nouvea Sud, he's been working intensively to increase his vertical jump height and hand balancing, focusing on foundational strength to better stabilize himself. In addition, this strength will assists in his partner acrobatics skills, allowing him to be a good, stable base. 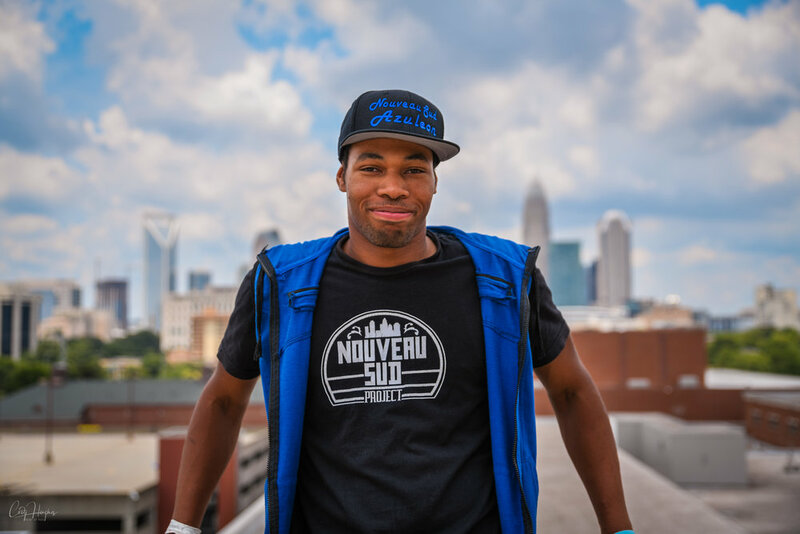 Deandre is a dancer and trapeze artist for the Nouveau Sud Project in Charlotte NC. He's been dancing for seven years and has been a memeber of NVS for two years. He has many interest and hobbies that vary from video editing, computer programming and of course circus and dance. He has a small gaming Youtube channel, which helped develop his video editing skills. He is trying to obtain his certification in C++ programming and keep up with his daily training schedule with the troop. Every week on Mondays, Wednesdays and Fridays he trains with with company for three to four hours conditioning and improving skills to stay sharp and fit. He also trains every Saturday when the company hosts open gym for people who are interested in circus,can come and have fun with the aerial apparatus. He shares that the two years he's spent with this group have shaped his personality and have given him so many opportunities to express himself through what he enjoys doing. "They critique and push me pass my limits to unlock this unknown hidden potential that I never knew I had. I don’t consider them as my cast members, but as my family." Mark has been dancing with Nouveau Sud since 2016. He originally joined the group as a b-boy, which he's trained in since 2011, and wanted to advance in his breakdancing, but as time passed, he found a love for performing and acting with this troupe of "quirky individuals." He is one of the founding members of Familia Vongola (a self-taught Breakdance crew) that started in Charlotte. Himself, Dangles, Reborn, Jambo and others collectively grew to love circus and the different apparatuses, atmosphere and perspective it gives. 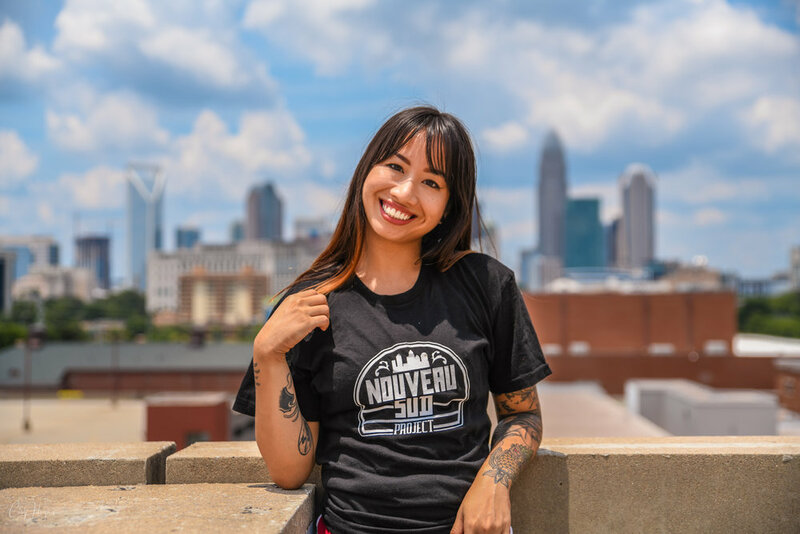 As part of Familia Vongola and Nouveau Sud, he's participated in the Breaking Convention, which was an event to combine theater and hip-hop, two mainstage shows with Nouveau Sud and other community performances. Applying the technique of circus hand balancing and acrobatics, he's seen his own style and dancing improve dramatically in the past two years. His goal with the troupe is to perform on bigger stages. The messages behind the shows also appeal to him, and he wants Nouveau Sud to be a symbol of togetherness that bridges the gap between different cultures, backgrounds and ideologies. He want to show the world who he is as a dancer, and in turn, wants others to show him who they are. "Unity through the arts. What Nouveau Sud is trying to do, is what we originally as Familia Vongola wanted to do. Show the world our style, flavor, and elegance as extravagantly and unnecessarily fantastic as possible." Jarell was born in Cincinati, OH and raised in Charlotte, NC. His specialties include Cyr wheel, which he's been training in since 2015, and aerial straps, which he's been training in since 2016. Additionally, he has a dance training in capoeira, along with modern and contemporary dance, taking classes at Open Door Studios in Plaza Midwood, CLT. He currently volunteers for UMAR Arts Center in Charlotte, NC. UMAR offers services for adults with intellectual and developmental disabilities, encouraging creativity and self-expression through the arts. Here, where he's been working since 2017, he uses his circus skills as therapy for dancers with disabilities. While in Ohio, he worked at the Cincinnati Children's Hospital as a clown and taught circus skills to at risk youth. Fun fact: his favorite food is mangos. Byron is originally for Columbia, SC. He received his first dance lesson under the guidance of Jessica Foxworth and realized he had a passion for the art. He later was enrolled into Columbia Ballet in Columbia, SC under a full scholarship to train in classical ballet and modern technique. At the age of 16, Byron relocated to Dillon, SC where he began to train under the guidance of Sherrie Adams at Dance Dimensions. While dancing at Dance Dimensions, he was crowned “Mr. Dance of South Carolina” for the Southern Council of Dance masters. He then went on to be accepted into the Governor's School of the Art's in Greenville, SC at the age of 17. In 2002, at the age of 20, he landed his first job as a professional dancer in Charlotte, North Carolina at Paramount Carowinds as main stage dancer. In 2004, he was named “America's Mr. Dance” and became a title holder and alumni for the Dance Machine organization. In 2006, he began a new journey as a dancer and aerialist for Celebrity cruise lines. He has been performing with this cruise line for 10 years and has decided that the time has come to close this chapter in his life of performing and is so very thankful to God for his many blessings.